Add exquisite style to your ensemble with the sleek beauty of the Fendi™ Timepieces Chameleon Leather watch. Yellow gold-tone stainless steel case with coral and white leather inserts, and iconic FF cutout logo. 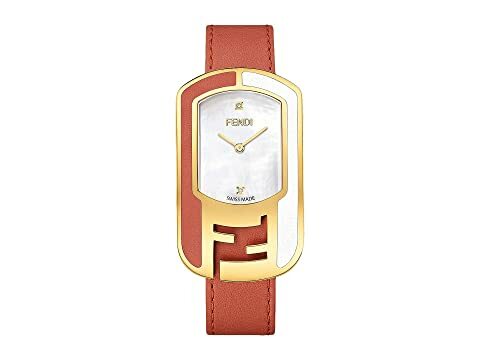 White mother of pearl dial face features two genuine diamond hour markers with a total weight of approximately 0.01 ct.
We can't currently find any similar items for the Chameleon Leather 29X49mm by Fendi Timepieces. Sorry!